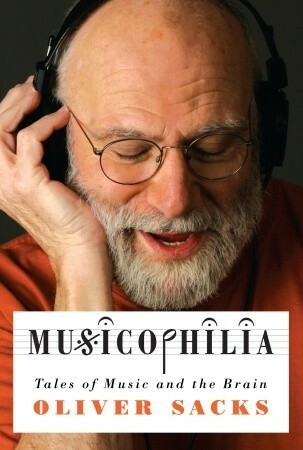 Musicophilia by Oliver Sacks. Much of it was technical medical material that was over my head. The book presents several cases of people who are dealing with some affliction or another—depression, Parkinson’s, a lightning strike victim, extreme memory loss—and what Sacks did to treat the patient. He explains the physiology behind what’s happening to the brain in these cases, and his diagnosis and medications prescribed, but that’s about it. There wasn’t much follow up for the cases. I was really interested in the parts about music therapy and how that was being used to treat patients in some situations. It’s a decent read—I gave it a 3-star rating on Goodreads—but for me, less medical talk and more human stories would have been better. What’s your nerdiest book read? This entry was posted in books and tagged 30 day book challenge, health, music, non-fiction, scientific research by kristin @ my little heart melodies. Bookmark the permalink. I love Oliver Sacks’ books. I don’t mind the medical talk, being someone who probably should have gone to medical school. LOL! I was definitely never medical-school material. Artsy-fartsy all the way! 🙂 The only experience I have with Oliver Sacks besides reading Musicophilia is seeing the movie Awakenings, which I really liked a lot. I recently read Rebecca Skloot’s The Immortal Life of Henrietta Lacks and found it very engrossing and readable, and I liked Mary Roach’s Bonk too. I don’t mind reading about health, just when the language gets too technical my eyes start spinning. I have a few other music/psychology books on my TBR: Levitin’s This is Your Brain on Music and Storr’s Music and the Mind. I also have Florence Williams’s Breasts on my TBR, looks really interesting! Well, lots of insurance text books (I was in the business), but maybe the nerdiest mainstream stuff I read was Joseph Campbell’s The Hero With a Thousand Faces. I didn’t even think of textbooks for this challenge!